Since 1936, the Southern California Branch of the American Society for Microbiology (SCASM) has promoted microbiology education and research in Southern California through meetings, discussions, newsletters, and publications. 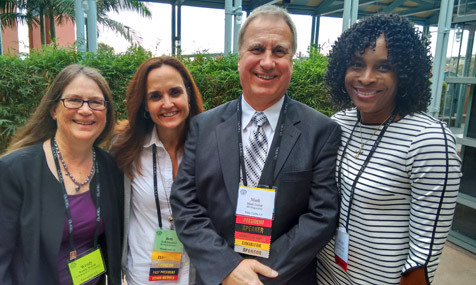 Our members represent the many diverse areas of microbiology including clinical, public health, environmental, basic research, education, industrial, food safety, veterinary, and more. SCASM members receive news via the website, meeting announcements, and annual meeting discounts. Invite your colleagues to join SCASM so they too can participate in our branch activities. 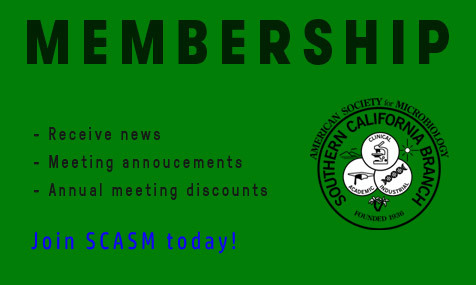 SCASM members receive news via the website, meeting announcements, and annual meeting discounts. Invite your colleagues to join SCASM so they too can participate in our branch activities. Members have special benefits that are not available to non-members.